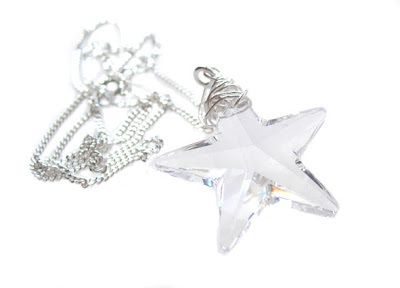 You are soon to be the proud owner of the beautiful CeeGee Jewellery Swarovski Star Pendant. 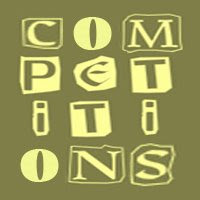 Thank you to everyone who entered, we hope you will be back in the new year to enter January's great give away! 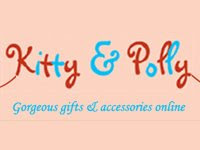 Pretty Little Love Objects is a great jewellery shop run by Jodie, a 23 year old British girl with a BA in history who is currently working her way through a marketing qualification while crafting, writing and working a full time job. Jodie says "I was an indie kid back in the nineties and all the girls wore hundreds of beaded stretch bracelets. Buying my own glow in the dark beads and stringing materials pretty much began my beading obsession. I love searching through fairs and finding new quality suppliers and make original, individual pieces from whatever is in my massive stash at the moment. All my items are designed to be objects of desire, something you’ll love and keep on gazing at for years. My pieces are very textual, made for touching as well as for making your friend jealous. Buy someone else a little love object or gift yourself a jewel and become the object of your own affections." 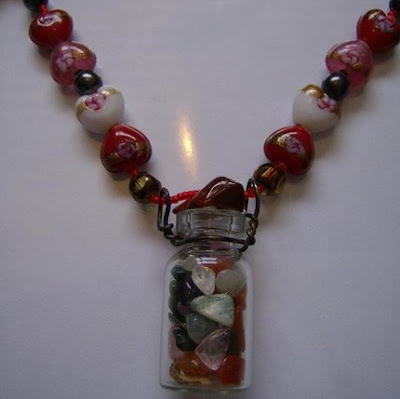 ‘Bottle Treasure’ necklace is an eclectic collection of beads and glass pearls, that complement the small treasure bottle pendant, filled with semi-precious gem chips. Red, patterned glass hearts are combined with smaller glass hearts, featuring flower detail, in red, pink and white. 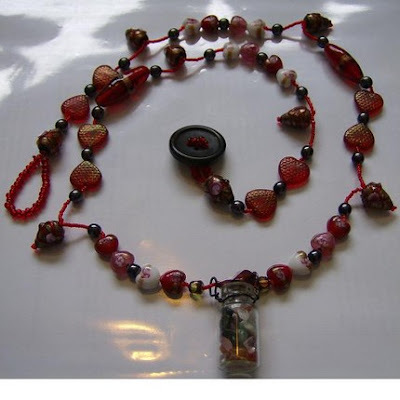 Grey Czech glass pearls, long red glass cylinders and hanging bronze glass bee nest beads (also featuring small flower detail) are allowed to stand out by being surrounded by simple red seed beads. The necklace is fastened with a medium sized, smooth black button clasp. The necklace’s rich colour scheme ensures that the whole piece is as attractive as the stunning and unusual necklace. So, after all that, I better tell you where you can get all these 'bottle treasures' and much more from! 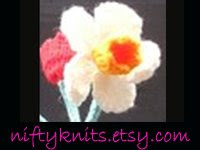 Visit http://www.blinkingmouse.etsy.com where you can buy internationally. 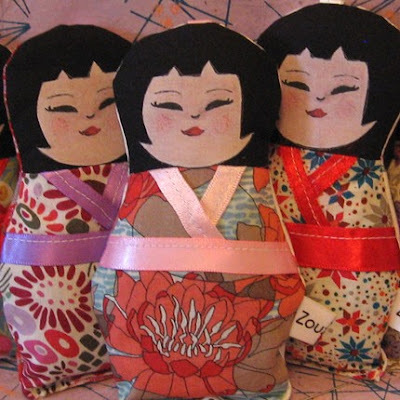 Zouzou Designs is home to these amazing Russian and Japanese lavender dolls. 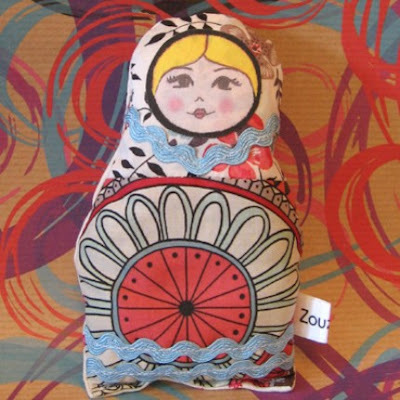 A couple of years ago Caroline decided to combine her love of sewing with her love of Russian dolls and Kokeshi dolls. She thought it would be a great idea to fill them with lavender too, for its relaxing and stress relieving properties. 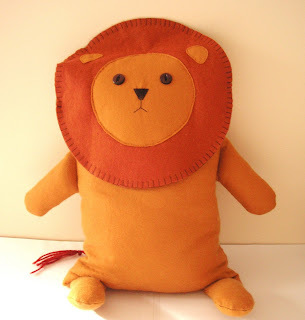 The dolls are all handmade from original designs and patterns using good quality new and recycled materials. Choose between lavender or polyester filling. Due to import/export regulations, lavender cannot be sent from the UK to destinations outside Europe. However, dolls with polyester filling love to travel and can be shipped anywhere in the world! 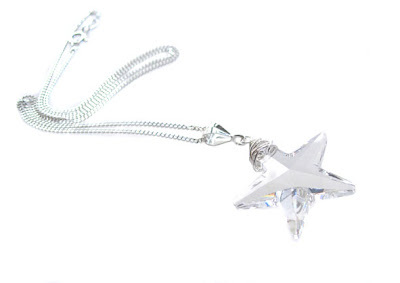 One very lucky winner could soon be the proud wearer of this beautiful Swarovski Pendant, courtesy of CeeGee Jewellery Design, run by Carolyn Grant. Entirely self-taught, Carolyn spent 10 years working in banking in London, before relocating back to Cheshire where she grew up. A newly discovered love of jewellery-making led to a total career change and the creation of her business. Carolyn works exclusively in sterling silver with a particular focus on semi-precious gemstones, and loves sourcing handmade lampwork beads directly from the glass artist for use in her designs. There’s a wide selection of earrings, bracelets and necklaces available on her website, with bridal and vintage lines to be introduced next year. 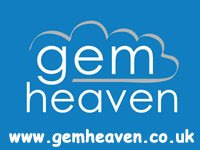 Visit www.CeeGeeJewellery.com for secure online shopping, with international shipping and gift wrapping available. CeeGee Jewellery can also be found on Etsy and Folksy. So what do you need to do to get your hands on this gorgeous give away? 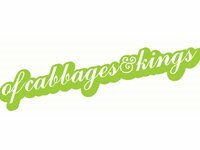 Its easy, head over to CeeGee Jewellery Design now, have a good look around the site and then pop back here and leave a comment on this post about all the beautiful handmade jewellery you've seen. 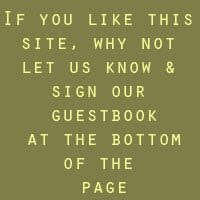 Leaving your email address is optional, as the winning name will be posted on this blog and asked to contact us to receive their prize. 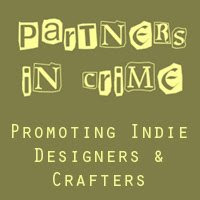 The winner will be announced on Partners in Crime on 30th November - Good Luck everyone! 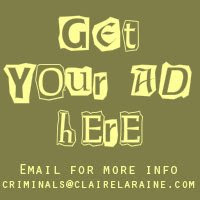 If you want to become a partner in crime - it couldn't be easier, all you need to do is fill in a short application form - we will be in touch if you are successful! 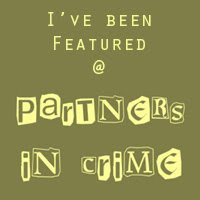 We are setting up a forum for all you fabulous Partners in Crime! 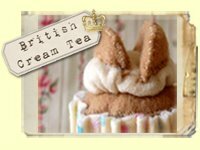 Its still in its early stages but we would love you all to go and check it and try it out! Don't be afraid to tell us what you think too - any ideas for improvement are always welcome, thanks! 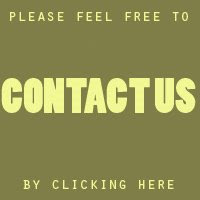 Just click on the title of the link to be taken to the forum and sign up! Catherine Hayward runs Scatterbox Originals, an Etsy shop with a range of items based around the idea of troubled animals.
" I'm mainly self taught. I started out with abstract designs, far removed from the Illustration work I had done - I found it easier to teach myself working with simple shapes. My first creations were cushion covers, simple bags and notebooks.As my skills have improved, my designs have become more and more complex and suddenly I find myself creating things heavily based around Illustration - the very discipline I'd backed away from"
Catherine has plans for some new paper goods based around her drawings, coming later this year, but right now you can buy, purses, children's scarves, cushions (and hopefully soon bags) with characters sewn on in 2D form. 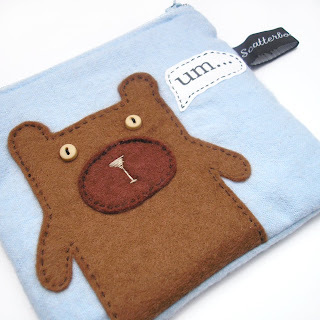 They're made with wool-viscose blend felt, sewn onto beautifully soft brushed cotton. In addition to Scatterbox Originals Catherine runs a second etsy shop that houses her range of jewellery and accessories - http://www.treacletoffee.etsy.com/. All of these great accessories are available to purchase internationally too!